As you can see from the code, it’s not pretty. I had a bit of a fight today, I wanted to UnitTest some Java Spring MVC code that I’m using for a demo application. But after a lot of Googling, StackOverflow and hitting different documentation of Spring 3.0, 3.1 and 3.2 I finally came to an acceptable solution. Mind you a minimal sample to test MVC controller without having to go crazy with decelerations, attributes, injections and so on and so forth, you catch my drift. There has been a lot of movement from those three versions I mentioned and finally the spring UnitTesting lib has now been folded into Spring itself, this is good news. Btw, I found the answer in the Spring MVC showcase on GitHub, where else ? So lets take a look at what you need, bare minimum just the way I like it. The controller class I’m using comes pretty much directly from creating a new MVC Spring project from Eclipse. * Handles requests for the application home page. * Simply selects the home view to render by returning its name. Then lets look at the Test itself. I needed to add Sonar reporting to a small Java project that uses Maven for the build. There is a Maven Sonar plugin available for this task here. First add sonar properties file ( sonar-project.properties ) to your java project, put it in root. For Maven version 3+ add this to the POM file in the build section, else Maven version 2 ( below ). Pass the sonar:sonar goal to the Maven script then kick off a build, the dependencies should be downloaded automatically. The report for your project displays on the Sonar server dashboard. There were some GoogleTv guys ( Les Vogel and Paul Carff ) coming to town to hold a session on GoogleTv development. 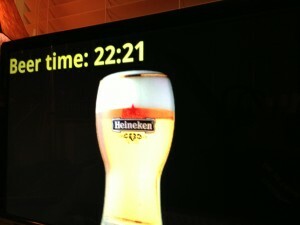 This event was facilitated by the local Android meetup group. Naturally I wanted to attend, I haven’t looked at GoogleTv before so why not jump on the oppertunity to get to know GoogleTv development a little. To my surprise I was handed a nice GoogleTv T-shirt and a Vizio GoogleTv device as I walked in the door, w00t ! you should see some message like “KVM acceleration can be used” if your good, otherwise you will get some kind of error. 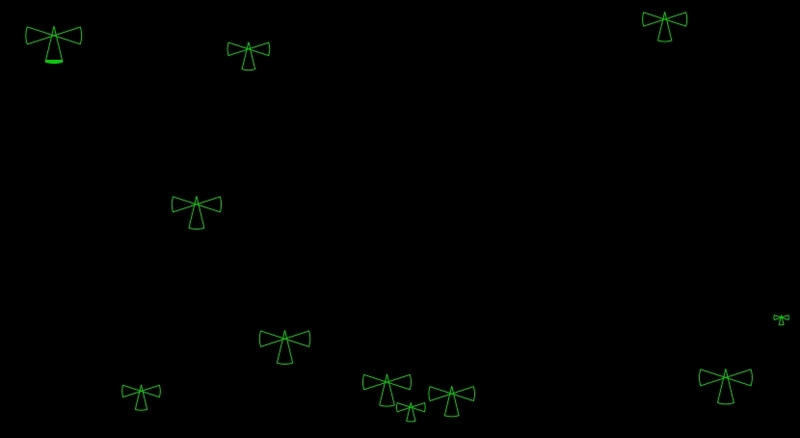 I wrote a sample app that plays different media over the internet, it turns out the emulator is not as capable of playing different formats as the regular Android emulator. Most of my streams played on the Android emulator but not on the GoogleTv emulator. It’s a good thing that they gave us GoogleTv devices when we attended the labs event at Google, now I can start coding and try it on the actual device which will work better than on the emulator. 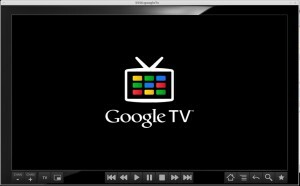 The Vizio GoogleTv is only $99 at the moment, if your going to develop for GoogleTv I would recommend getting the device to test on rather than using the emulator. 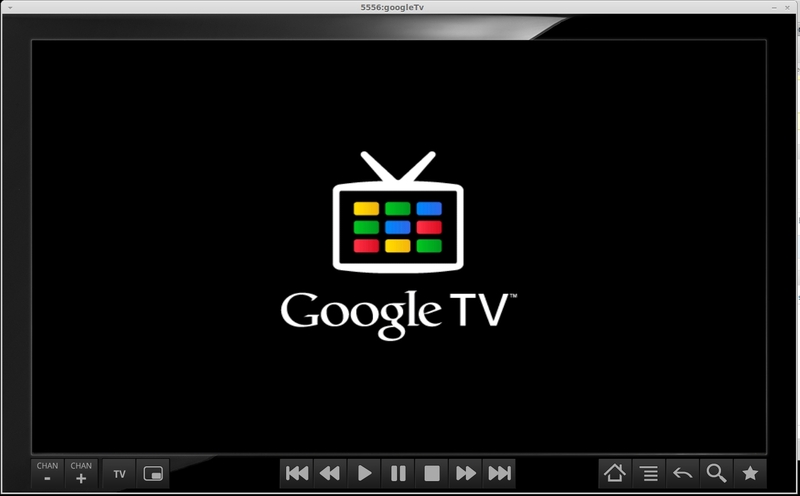 A lot of Android applications will work just fine on GoogleTv without any modifycation. The most important thing to keep in mind is that the GoogleTv display is Landscape only and the resolution is usually in the Tv format 1280 x 720 or 1920 x 1080. For example my Android BeerWidget runs fine on the GoogleTv without any modifycation. I have seen a bunch of tutorials on how to deploy on the Google App Engine. Let me tell you my experience as well, no it does not take 5 minutes, it’s more like 15-20 minutes to get HelloWorld app going. I use Eclipse ( Indigo ), so let’s look at how you install the Google Engine / SDK and plugin from there. The App Engine just got update to version 1.6.4, naturally that’s what we will use. You can skip the Android stuff, just check the other 3 check boxes and start your downloads, you will have to Accept the license etc, it’s self explanatory. After a few long minutes of downloads Eclipse will ask for a restart to install everything properly and you will be in business. This will create a sample Google Application Engine project for you. Then simply choose the blue (g) icon from the toolbar menu, and choose Deploy to App Engine… You will be asked for account info etc, and you will connect this deployment with the app you created in the beginning. Now watch the Console portion as the info about your deployment are displayed until you get success info. Then you can go to your application URL and see your new project in action. To find the URL you can goto My Applications in the Google app dashboard, it will have links on the right ( instances ) click on the link there and it will take you to your app. Its worth to mention that Google will host your app for free, as long as you don’t exceed certain resource limits. They actually have generous free limits, you can read more about the limits and what else you can buy in terms of resources here. You can actually host your own domain on the Google App Engine as long as it’s not a naked domain, That is you will be able to host www.mydomain.com but you will not be able to host mydomain.com. That’s really because of security, you can find further reading about that here. That’s all, happy coding !